This month we're featuring Blue Bridal, a cute boutique in Austin, Texas, as our Store of the Month. The owner, Ruthie, and her team answered some questions for us. Why did you start Blue Bridal Boutique? 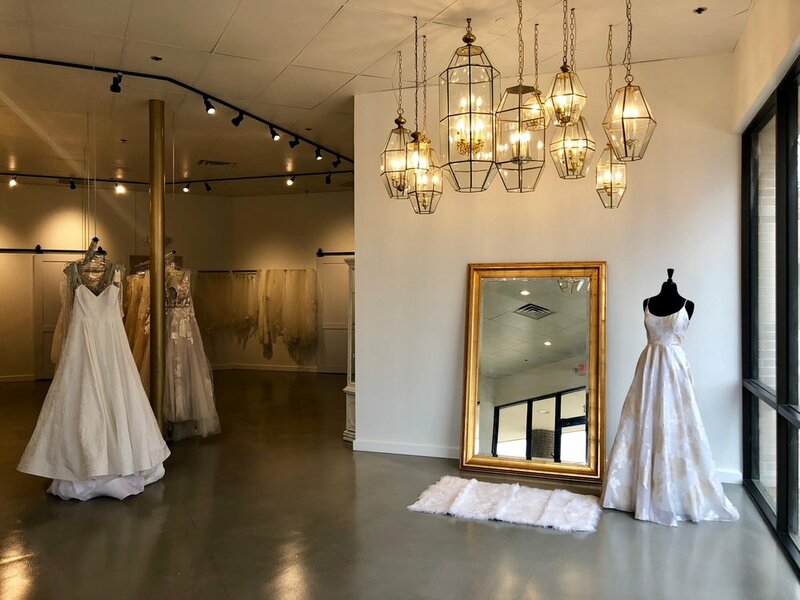 We started Blue Bridal after I went dress shopping and felt like there was a market for a boutique in Austin that offered a boutique experience no matter your budget. I was still a PE teacher and the first two years of the business I worked full time as a teacher and then worked at the store from 3:30pm to 6:30pm. Describe your store in four words. Seeing a bride fall in love with a dress never gets old! That moment is extremely special. What tips would you offer brides? Don't put too much pressure on yourself! The most important decision (choosing who you want to spend the rest of your life with) has already been made! Have fun with it and stay true to yourself. What is your current favourite wedding dress trend? Classic fabrics and silhouettes with fun details. What is your favourite gown from the Lis Simon 2018 collection and why? We love the Jude gown in Oyster! The silhouette is so elegant and the lacework has just enough detail to point the focus to the bride. What are you hoping to see in the Lis Simon 2019 collection? Drama! We love long trains and statement details that make a gown feel one-of-a-kind. What do the next few months have in store for Blue Bridal? We will be hosting several trunk shows over the next few months as well as visiting NYC bridal market to view our designers upcoming collections. We can't wait! Thank you Blue Bridal team for answering all our questions! Make sure to check them out on their website, Facebook, and Instagram.